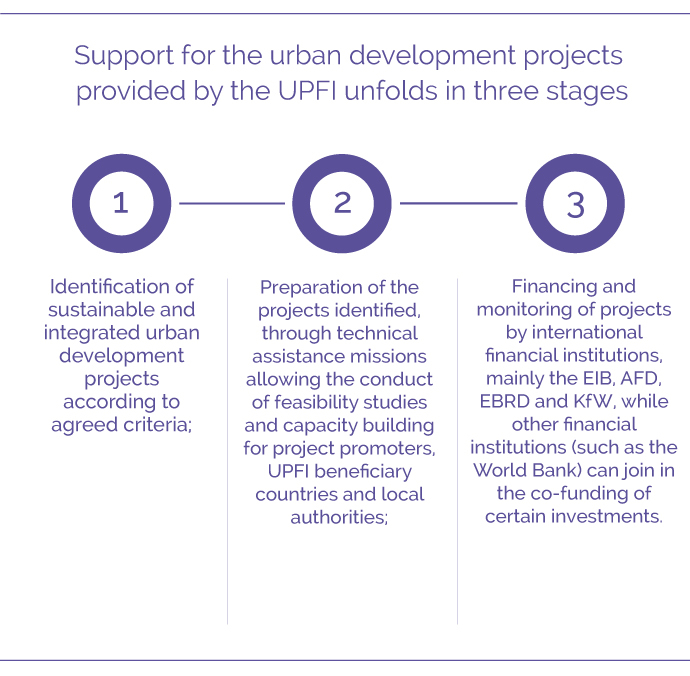 The Urban Projects Finance Initiative (UPFI) supports project promoters in the southern and eastern Mediterranean, helping them to prepare and to finance ambitious urban development projects, which aim to create jobs, to reduce poverty and to upgrade the urban fabric. This tool, developed specifically to respond to regional urban issues, is implemented in nine countries in North Africa and the Middle East, thus facilitating the exchange of experiences and the strengthening of a Mediterranean urban expertise. Since the launch of the UPFI initiative, among the projects identified, 13 are benefitting or have benefited from the technical assistance programme aimed at supporting the project preparation phase. In order to achieve this second crucial phase, the AFD, with the delegation of 5 million euros from the European Commission and under the supervision of the Steering Committee members, in 2014 launched a Framework Agreement for technical assistance to support the preparation and the definition of the feasibility of these projects. Four consortia of consulting firms specialised in urban planning, respectively led by ARTELIA Ville et Transport, IBF International Consulting, the International Urban Development Association (INTA), and Re-Sources Villes et Habitat, are the beneficiaries of this technical assistance Framework Agreement, and mobilise international and local experts to carry out these services; the Transtec company has been awarded the contract for the Project Management Unit, which is responsible for the administrative, legal, technical, budgetary and accounting management of this Framework Agreement. In order to provide a continuous high-quality expertise to the UPFI projects’ preparation, AFD has decided, alongside the dedicated Framework Agreement, to widen the selection of the technical consultants and firms for conducting the studies and technical assistances launched through the UPFI. This second phase should enable the selected projects to reach the third phase of funding and implementation, by mobilising and allocating the resources needed to carry out these projects. 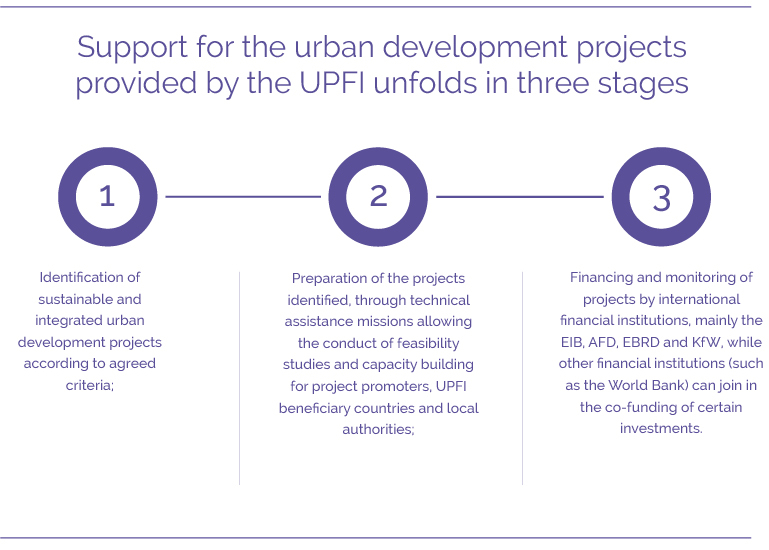 The UPFI initiative supports sustainable and integrated urban development projects selected in the countries of the southern and eastern Mediterranean, by providing the necessary technical assistance for their preparation and the financial solutions enabling a significant leverage effect for international funding provided by European donors. Nine countries are currently beneficiaries of the UPFI: Algeria, Egypt, Israel, Jordan, Lebanon, Morocco, Palestine, Tunisia and Turkey. Given the current situations in Libya and Syria, UPFI activities in these two countries are for now suspended. The UPFI grew out of a partnership initiated and placed under the aegis of the Union for the Mediterranean since 2011 when the UfM included urban development among its priority areas for intervention. Within this framework, the UfM called on the French Development Agency (Agence Française de Développement – AFD), and the European Investment Bank (EIB) to pilot the UPFI initiative, financed by delegation of funds from the European Union. With the creation of the UPFI, the UfM is launching an innovative coordination through the establishment of a close collaborative partnership, enabling several financial institutions jointly to provide technical and financial support to respond to the urban challenges of the Mediterranean. Indeed, all the UPFI’s activities are monitored by a Steering Committee made up of the AFD, the EIB, the European Commission (EU DG Near) and the UfM; and by a Project Committee composed of other partners and donors such as the German Kreditanstalt für Wiederaufbau (KfW), the European Bank for Reconstruction and Development (EBRD) and the French Caisse des Dépôts et Consignations (CDC). UfM sponsorship offers the UPFI initiative strong visibility and recognition across the Mediterranean basin, and enables each of the 43 UfM member states to be associated with this innovative approach to urban development. Projects benefiting from the programme are selected on the basis of objective and transparent criteria, with the aim of encouraging the emergence of sustainable and innovative urban projects adapted to the needs of the populations and contributing to the sharing and dissemination of a common benchmark for good practice around the Mediterranean. An initial identification phase conducted by the AFD, the EIB and the specialised CARO consortium, led to the pre-selection, from an initial list of more than 100 proposals, of some fifteen projects that met the agreed criteria and already enjoyed the support of the national authorities in the beneficiary countries. These urban development projects were related to major urban projects for the (re)development of urban areas (run-down neighbourhoods, large areas, seafronts), or projects focused on sectors with a strong economic or social impact, or even national territorial development programmes, with a global investment value of more than 2 billion euros, according to the UfM. New projects meeting the identification criteria have been selected in 2017 for UPFI technical assistance. Moreover, the UfM and its 43 member states grant the UfM label to the most exemplary UPFI projects, those with the highest potential for replicability, thus giving these projects greater recognition and visibility on a regional level, as well as leveraging funding and granting access to a broad network of technical and financial partners. The UPFI is thus in many ways an innovative process coordinating the actions of different institutions by pooling complementary technical and financial tools in order to reach a common objective: to build sustainable cities in the Mediterranean. In the wake of the ‘Arab Spring’, the challenge for countries on the southern and eastern shores of the Mediterranean is to achieve sustainable economic and social development through job creation and improved living conditions for their inhabitants. This objective of sustainable and integrated development is particularly crucial for the evolution of Mediterranean cities, which are developing at a rate of sustained growth that is yet partly uncontrolled. Between 1970 and 2010, the urban population of the Arab countries has more than quadrupled, a continuing trend, with an urban population that will further double between 2010 and 2050. By 2030, nearly 80% of the population of the Southern Mediterranean will live in cities, on less than 10% of the territory, making the North Africa – Middle East region one of the most urbanised regions on the planet. 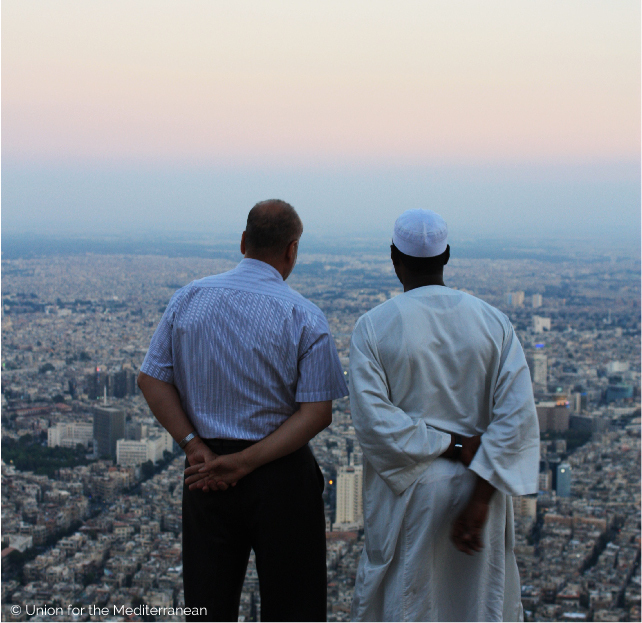 The southern Mediterranean region is going through a real ‘urban demographic explosion’: by 2025, almost 245 million people will be living in urban areas. Beyond the increase in the urban population, there are real problems of urban planning. In order to respond to the growing needs of these populations, urban development must follow an integrated and multi-sectoral approach, ensuring a balanced distribution of population, provided with efficient infrastructure and facilities. 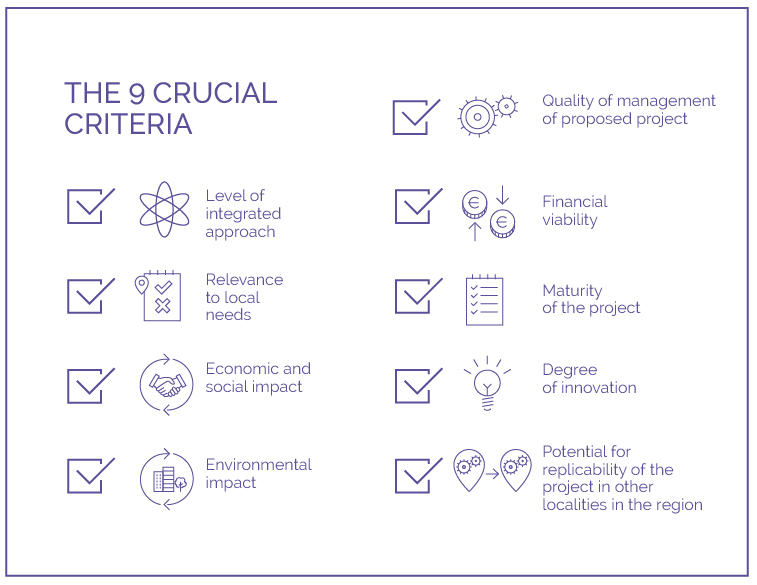 This is a major challenge for the region, requiring not only the mobilisation of supplementary expertise and strengthened capacities in project management, but also financial support, with the needs of investment in urban development rising to more than 110 billion euros, according to the Union for the Mediterranean (UfM). It is to underline their commitment to stronger support for the region, and to respond to the need for integrated and sustainable urban development that European financial institutions are taking part in the Urban Projects Finance Initiative – the UPFI. This initiative aims to accompany urban development projects in the countries of the southern and eastern shores of the Mediterranean, working towards the construction of sustainable and integrated Mediterranean cities.